The tandem of Associate Head Coach Steve Greeley and Terriers skipper David Quinn identified their targets on the trail and wasted no time re-imagining and pulling in talent for the Terriers’ future line-up. This class is exemplary by our standards (four-year impact, positional needs, collegiate upside) and on top of that, in this era of early recruiting of sophomores and even freshmen, over half of this group was recruited this [past] season. 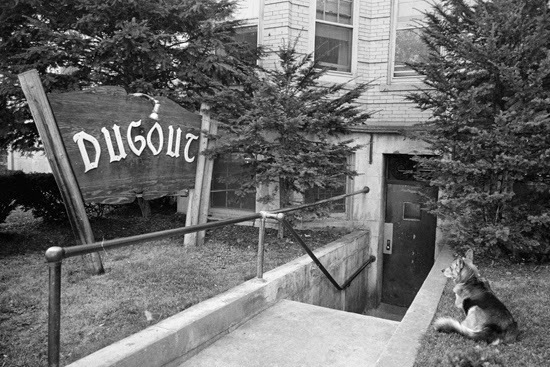 Editor's note: The Dugout is without a doubt a continuing part of BU Hockey history and so has been added to the Terrier Tales list in the sidebar. Former BU assistant captain Brian Strait, beginning his second full season on the Islanders blueline, talked with SNY.tv about his health, competition in the New York training camp and the final season at Nassau Coliseum for the Isles. A member of BU's 2009 NCAA title team, Strait, who was married this summer, served as captain of Team USA in the 2008 World Junior Championships and, like Terrier captain Matt Grzelcyk and Eichel, he played for the gold-medal winning NTDP U-18's in the World U-18 Championships. 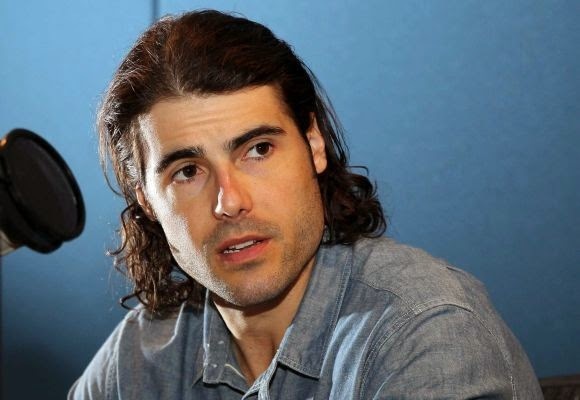 This past summer we reported that former BU goalie and NHLer Rick DiPietro was exploring a new career direction, filling in on a sports talk radio program. The audition was a success and DiPietro has signed on to co-host a weeknight program on ESPN’s New York City station. Other ex-Terriers turned broadcasters include Mike Eruzione, who was an analyst on MSG Network for Rangers and Devils game; Dave Tomlinson, radio analyst for Vancouver Canucks games; Tom Ryan, longtime analyst on BU hockey broadcasts; and, Don "Toot" Cahoon, former UMass head coach who has been doing color on WBIN college hockey broadcasts. Following last Saturday's 3-0 exhibition game win against Queens University, the Terriers were ranked #4 in the USA Today/USA Hockey Magazine pre-season poll. USCHO’s poll last week ranked BU sixth. 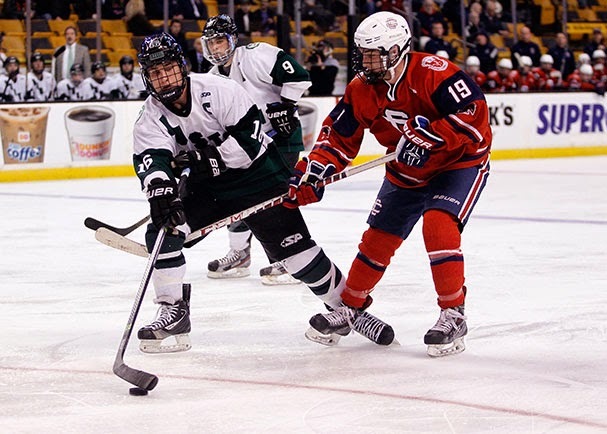 In the NCAA’s Frozen Four’s Finest tournament, BU’s 2009 national champions advanced to the semifinals after defeating the 1985 Rensselaer Engineers in a fan vote. Next up in the competition is the 1970 undefeated Cornell team. The Hockey News reviewed freshman Jack Eichel’s one goal, one assist performance in Thursday night’s All-American Prospects Game. The broadcast will air again today on NHL Network at 1 p.m. ET. 2015 recruit Maxim Letunov (photo) scored a goal and 2016 recruit Vas Kolias assisted on another for Youngstown but the Phantoms were doubled up, 4-2, by the NTDP U-18's. Letunov, a second-round draft pick of St. Louis in the 2014 entry draft, is in his second season with the Phantoms, having scored 43 points last season. 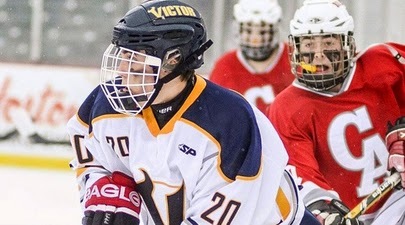 Kolias, who starred for Chicago Mission 18U last season as a 16 year old, was acquired during the off-season during the Indiana Ice dispersal draft. On Friday night, 2015 recruit Bobo Carpenter (photo, white jersey) assisted on three goals in the Sioux City 4-3 overtime win over Omaha to open the USHL regular season. Last year, the left-shot center led Austin Prep to the Massachusetts Super 8 championship game with 24 goals and 13 helpers in 22 games. He also tallied nine points in nine games with the Musketeers. Also in USHL action on Friday, 2016 recruit Clayton Keller assisted on the NTDP U-17's first goal in a 5-2 loss to Muskegon. 2017 recruit David Farrance scored twice and assisted on two more as the Syracuse Stars routed Bay State, 11-0, in USPHL 16U action. With his four points for the undefeated Stars, the left-shot defenseman from Victor, N.Y., moved into the league scoring lead with a 10-8-18 line in eight league games. 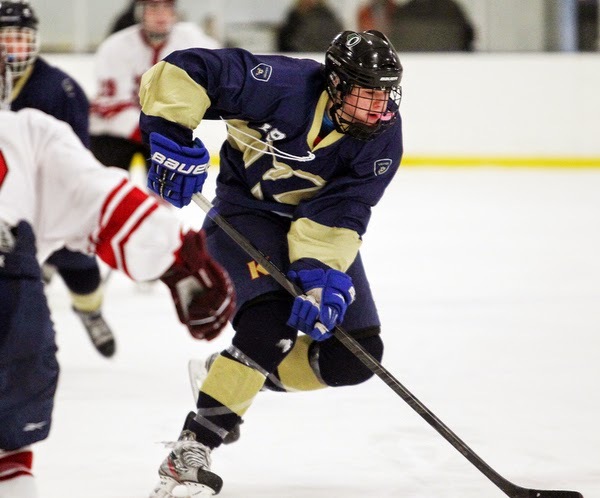 New England Hockey Journal reports on former Terrier captain, NHL standout and Olympian Kevin Shattenkirk whose goal is to elevate his game to Norris level. A second-team All-American in 2008-09, Shattenkirk had a career-best 45 points last season for St. Louis. 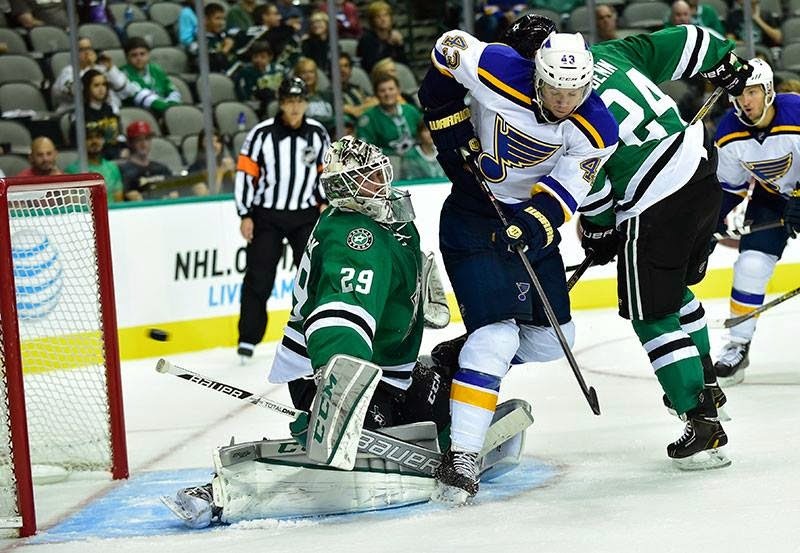 Former Terrier John McCarthy has been assigned to AHL Chicago by the St. Louis Blues. McCarthy, a co-captain on BU’s 2009 national championship team, had spent five years with the San Jose organization, playing in 87 NHL games, before signing with the Blues in the off-season. 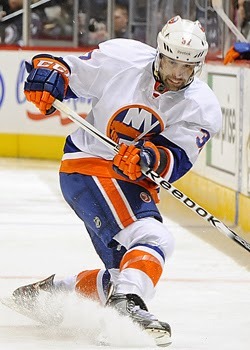 Former Terrier Ryan Whitney remains in the St. Louis camp on a professional tryout contract. Behind two goals from sophomore Maddie Elia and one from junior Kayla Tutino, the Terriers blanked Queens University, 3-0, in yesterday’s exhibition game at Walter Brown Arena. Three BU netminders, sophomores Victoria Hanson and Mia Becker, and freshman Erin O’Neil, playing a period apiece, stopped all 32 shots by the Gaels. BU skated without six players who are in Calgary at a Hockey Canada event. The three-time defending Hockey East champions open the regular season next weekend in Minneapolis, taking on St. Cloud and Minnesota. 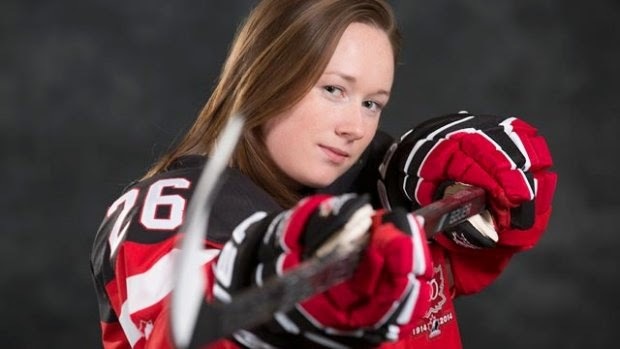 One of those six invited to Canada’s Fall Festival, senior blue-liner Shannon Doyle, talked with HockeyCanada.ca about the hip injury that forced her to miss the entire 2013-14 season and the more than six months of rehab she faced. 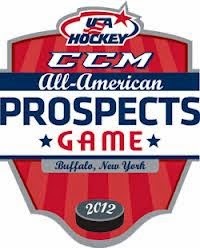 Freshman Jack Eichel scored one goal and set up another; while 2015 recruit Jordan Greenway set up two goals, including Eichel’s, as Team Grier broke open a close contest and doubled up Team Olczyk in the third annual All American Prospects Game, 6-3. The game marked a return to Buffalo for former Sabres fan favorite and Terrier All-American Mike Grier, whose decision to move Greenway onto the line Eichel was centering gave their squad momentum in the second period. 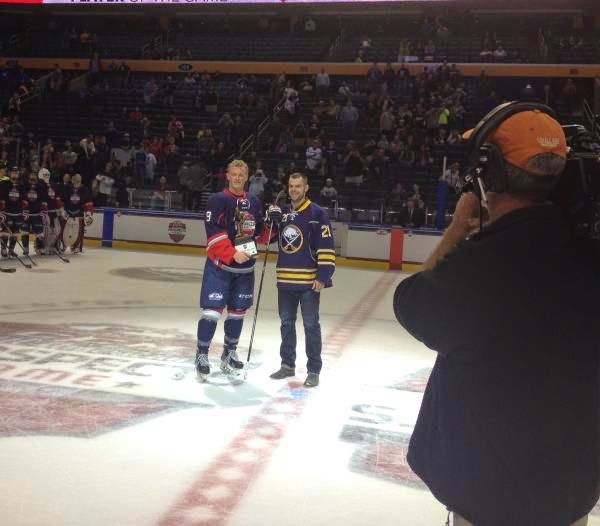 Following the game, Eichel was named player of the game, receiving a trophy from the Sabres’ Drew Stafford. With score tied at one apiece, Eichel set Jeremy Bracco to the right of the goalmouth to give Team Grier the lead. Midway through the the third, Team Grier was up 3-2 when Greenway dug a puck out of the corner and found Eichel in the slot and the right-shot centerman rifled the puck home. Four minutes later, Greenway lofted a pass from deep in the defensive zone to spring Bracco for a breakaway goal and a 5-2 lead. ►An estimated 200 scouts attended the game. ►On the NHL.com broadcast, Penguins coach Dan Bylsma called attention to the 6-5, 222 lb. Greenway’s skill, physical play and instincts to “be in the right place” at the right time. Ed Olczyk on Eichel: "I haven't seen a player at that level with a reach and a stick like that since Mario [Lemieux]"
Tonight’s CCM/USA Hockey All-American Prospects Game in Buffalo, airing at 7 p.m. ET on NHL Network, will give BU fans a chance to see heralded freshman forward Jack Eichel in action, along with 2015 recruit Jordan Greenway. Both Eichel and Greenway (who plays for the NTDP U-18's) are projected as first-round draft choices in next June’s NHL Entry Draft. Both will skate tonight for the squad coached by former Terrier All-American, NHLer and current Blackhawks pro scout Mike Grier. Robbie Baillargeon, who led the Terriers in scoring last season en route to earning Hockey East All-Rookie honors, was rated the “top amateur prospect” in the Ottawa Senators organization by Hockeysfuture.com. The right-shot center from Enfield, Conn., was Ottawa’s fifth round pick in the 2012 NHL draft. Robbie Baillargeon stepped into the NCAA last year and hit the ground running. The Boston Terriers freshman quickly worked his way into a top line center role thanks to an impressive two-way game. He finished with 10 goals and 17 assists to lead his team in points, and was named to the Hockey East All-Rookie Team. Baillargeon has proven to be a responsible two-way forward with offensive upside, who can play in all situations – including the penalty kill and power play. For the 2014-15 season, Baillargeon’s production could jump significantly with the addition of highly touted forward prospect, Jack Eichel to Boston’s roster. With Eichel’s pace and offensive instinct up front, Baillargeon’s workload on offense will either decrease or the two can combine on Boston’s top line. Either way, as Baillargeon enters his sophomore campaign, the Terriers should improve on last year’s 5-12-3 record in the conference. 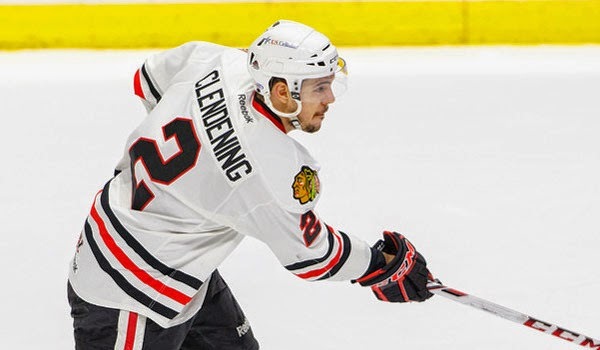 Former Terrier standout Adam Clendening, at Chicago Blackhawks training camp, discussed the facilities at Notre Dame’s Compton Family Ice Arena. The defenseman from Wheatfield, N.Y. earned AHL first-team All-Star honors (12-44-56) at Rockford last season and is competing for a spot on the Blackhawks blueline. The defending Hockey East champion Terriers’ season gets underway this Saturday with an exhibition game against Queens University (Ontario). Gametime at Walter Brown Arena is 3 p.m. Of prime interest will be the three young goaltenders looking to fill the skates of graduated netminder Kerrin Sperry. Sophomores Victoria Hanson and Mia Becker and freshmen Erin O’Neill will be vying for what is likely to be a spot in a rotation. BU will be without six skaters who are in Calgary at a Hockey Canada event: seniors Shannon Doyle and Olympic gold medalist Marie-Philip Poulin (photo); junior Sarah Lefort; sophomore Samantha Sutherland; and freshmen Victoria Bach and Rebecca Leslie. Gina Kearns, captain of the 2008-09 Terriers, has been named head coach at Newmann University. A top scorer during the BU women’s hockey program’s first four seasons, Kearns had spent two seasons as an assistant at Newmann before taking a similar post at Penn State in 2011. Congrats to former Captain @GinaKearns9 for being named Newmann University's new Head Coach!! !